Star anise and anise are two spices that share a name but come from different botanical families. Something else they share is a distinctive licorice note in their flavor profile. What they don’t share is an appearance — star anise is named for its unique five-pointed pods. The strong licorice note is one of the characteristics that make the spice a versatile one — you can use it in a vast number of sweet and savory dishes. 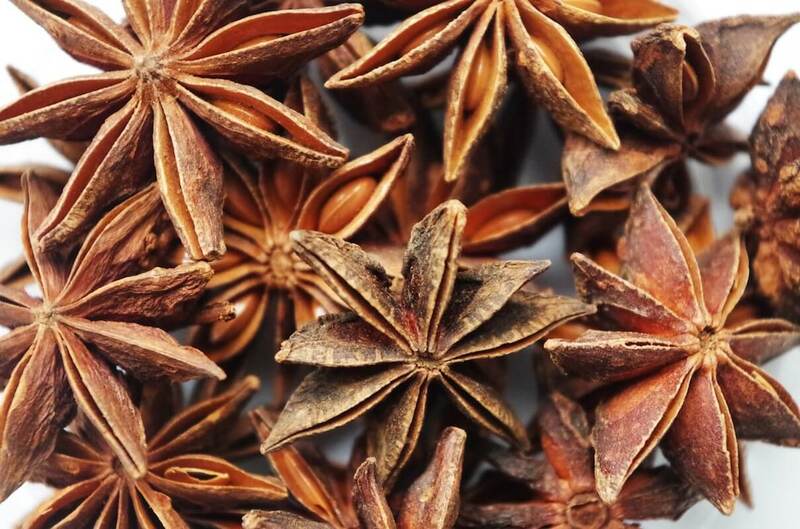 While star anise does show up in some European dishes — mainly in desserts — it is a more common spice in Vietnamese and Chinese cuisines where cooks use it in savory dishes as well. Chai is the Indian word for tea. In the West, it indicates a specific form of spiced tea that is actually the standard way to consume tea in India. Indian tea has a long history steeped English colonialism. Brought from China by the English, Indians would eventually make the beverage their own with the addition of fragrant spices like star anise. Indian chai is highly aromatic and involves the use of the spice blend called chai masala. Along with star anise, chai masala includes cardamom and cinnamon among several others. No spice is as evident in the flavor profile of most chai blends as star anise. As one of the best-known broth dishes, pho has its origins in Vietnam. It is a relatively modern dish that originated in the 19th century. Pho is a beef bone broth made with rice noodles and served with multiple garnishing herbs on the side. It is heavily flavored with star anise. It could be said that star anise is the predominant flavor even though the broth can contain various other seasonings. Pho has recently become popular in the West both for its attractive appearance as well as the licorice note from star anise. Garam means hot while masala means spices. Garam masala is the main blend of spices used in Indian cooking. The actual ingredients can vary from blend to blend but usually include a small set of spices that includes star anise. The flavor of star anise tends to dominate that of the other ingredients. The heat indicated by the garam part of the name is not a spicy heat since most blends have only black pepper as the source of spiciness. Rather, garam masala may be so named because of the supposed warming properties of the spices according to Ayurveda. Alternatively, garam masala may be considered hot because the spices get toasted before use. The spices in Chinese five spice powder blends may number more than five and are not set in stone. Like garam masala, a Chinese five spice blend can vary according to regional and personal preferences; however, star anise is the main spice in most blends with the other spices playing background roles. The mixture is a common ingredient in Chinese cooking; cooks use it in a variety of braised preparations that feature duck and pork. 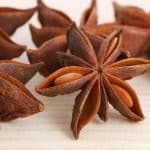 When you taste Chinese five-spice powder in a dish, the star anise flavor is primarily what comes through. 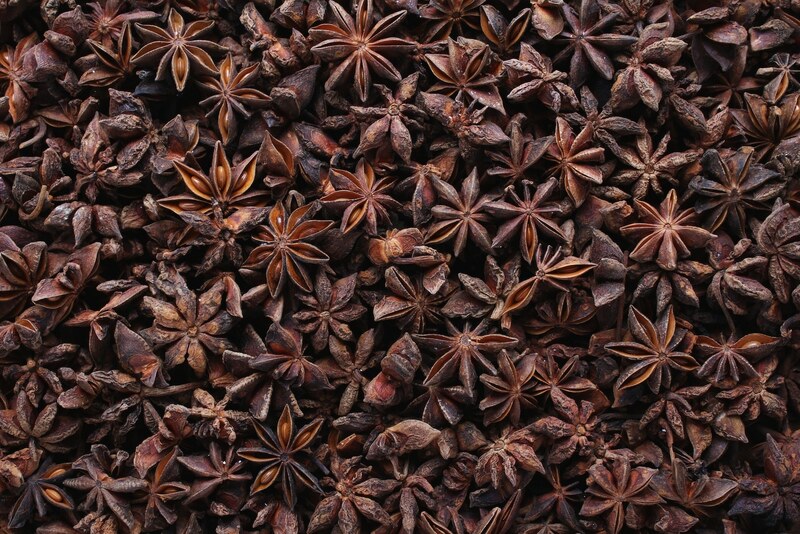 Star anise is one of several fragrant mulling spices traditionally used to make mulled wine. Mulled wine is a cold-weather favorite that is served warm. There are many variants including Sweden’s glogg. Along with star anise, other mulling spices include cinnamon and allspice.